The Kumori Katana Japanese Katana (KTN4) is specially handmade and forged in the Yamato Nihonto tradition, which is considered to be the oldest tradition in japanese swordmaking. This forging metheod and premium quality, high carbon Japanese steel makes it an extremely sharp, durrable and flexible blades with bo-hi (groove) offered today. 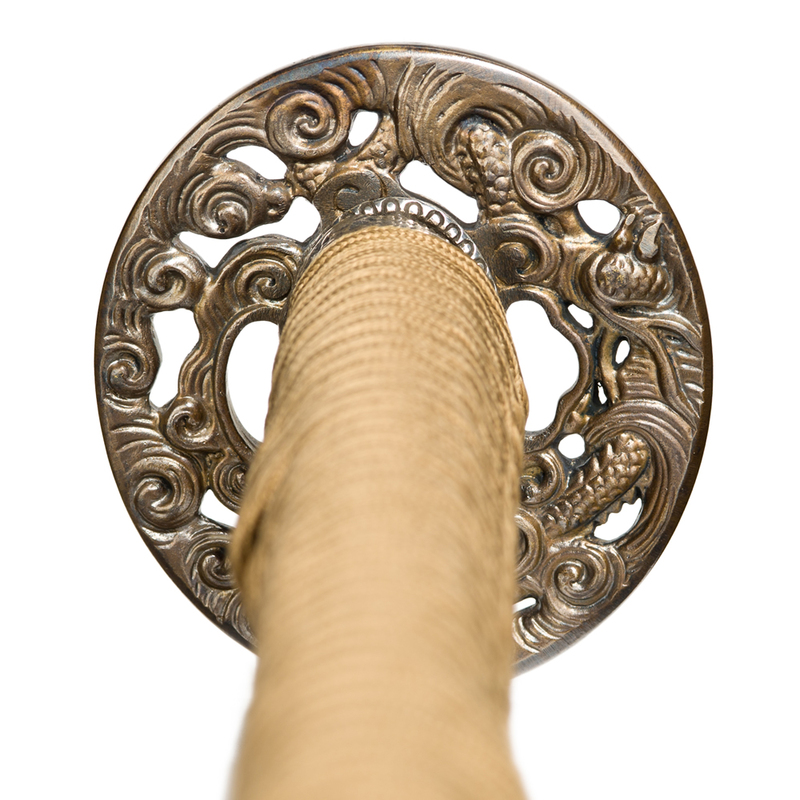 The Kumori Katana features a genuine same' tsuka, Japanese golden brown silk Tsuka Ito and 32.5% hand made silver Koshirae. 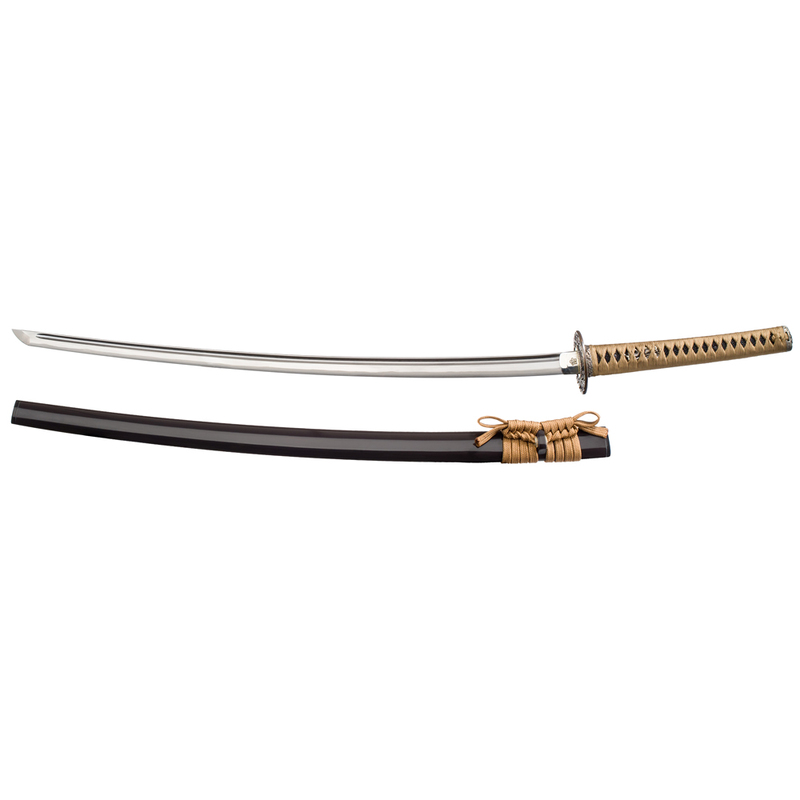 The Kumori Japanese Katana can be completely disassembled for full maintenance. It is a fully functional Japanese katana, not a replica. The Thaitsuki Japanese Samurai Katana Series keep true to the samurai code, "To strive for perfection". 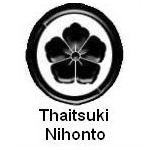 All Katanas produced by the family run Thaitsuki Forge are all handmade with the highest standards and attention to detail. All of our sword craftsmen and artisans have served for years in apprenticeship under the master sword smith, Mr. Sivarat. Each katana is made following the same traditional methods that the family run Thaitsuki Forge has been using for over 200 Years. 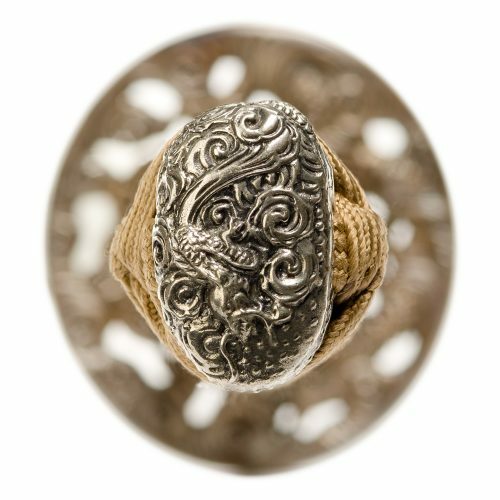 From the perfectly wrapped Ito, to the handmade Kashira, Menuki, Tsuba and Fuchi, each piece is made from skilled craftsmen that specialize and take pride in their art. The Habaki, Menuki, Fuchi and Kashira are handmade from quality silver. The Tsuka is skilkefuly wrapped with only the leather or silk and only genuine Ray skin is used. The Saya is crafted from hard wood then carefully lacquered and the Koiguchi is made from genuine black horn. 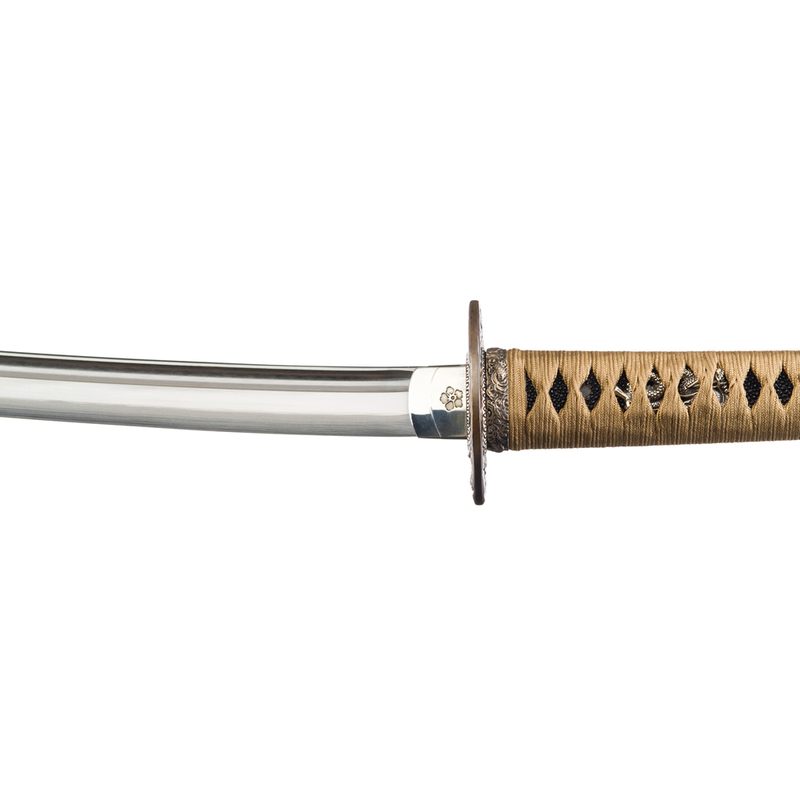 The blade is hand forged from only the best High Carbon – Japanese Steel and perfectly balanced. 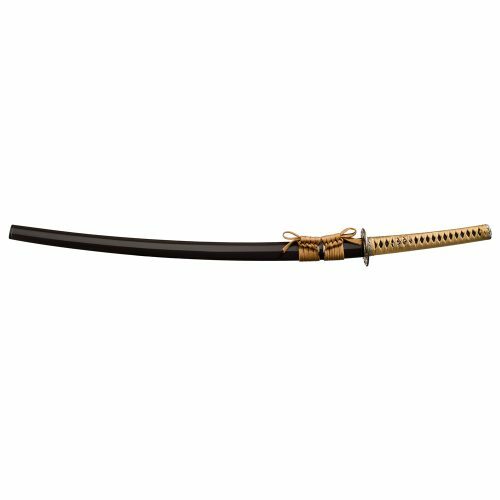 Each Japanese Katana comes with it's own individual serial number and certificate from Thaitsuki Nihonto so you can trace it back to when and by whom it was made. 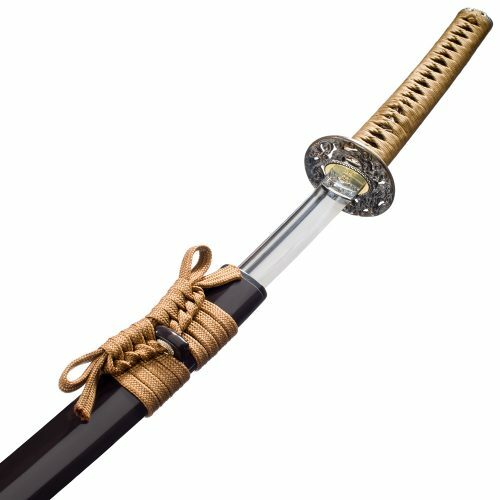 Each katana is handmade and the fittings are handcrafted so no katana will be ever be exactly alike. Each katana is it's own, one of a kind, work of art.